Your guide to snapping a great family pic with advice from the pros. Looking to upgrade your holiday family photo? Maybe you’re searching for a few fresh poses that don’t involve parking the brood squarely on the sofa. You might be dying to depart from boring black clothes for this year’s photo, but too tired to pull together coordinating trendy togs. Or perhaps you just want your on-the-go toddler to sit still long enough for you to click the shutter (bonus points if he’s actually looking at the camera!). Before you yelp “Enough!” and start doctoring last year’s photos in an attempt to pass one off as brand-new, read on for pro tips to help make this year’s holiday photo shine. Get inspired. 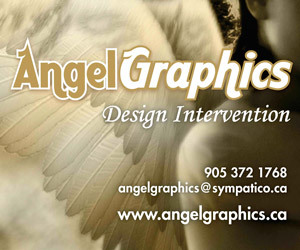 Give your creative process a jolt via the online inspiration-hub Pinterest.com. Search for “holiday family photos” to peruse striking family shots featuring unique props, non-standard locales, and distinctive poses. Create your own pinboard of inspiring images—and don’t forget to share your favourites with your photographer (even if it’s your neighbour). For traditionalists, photographer Emily Johnston recommends working a singular bright tone into each person’s outfit in a different way—like a red tie for dad, a red scarf for mom, and red sweaters for the kids. For a trendier look, pick a variety of colours within a similar family, like jewel tones, yellows, or grey hues from heather to charcoal. Accessorize. “A few fun, bold accessories add sharp details that make your pictures pop,” says Johnston. “Things like a flower headband for a little girl, a long layered necklace for mom, bright earrings for a teen girl, a fedora for a boy, or a large wristwatch for dad.” Bonus: Letting style-conscious kids choose a few hip accessories helps ease the sting of having to don parent-selected portrait attire. Time it. Planning for a family shot right after naptime or right before dinner is a recipe for disaster. Children are difficult to photograph under the best of circumstances, and if they’re tired or hungry, you’re not likely to get the shot you want (unless a “screaming kids” photo is what you’re after!). “If you have very young children, time photos first thing in the morning after breakfast,” says Hill. Get perspective. Ready to rise to the occasion? Photographing from up high (or down low) makes for surprising angles and interesting, frame-worthy photos. “For a fun, unique perspective, get on the floor to photograph your kids at their level,” says Johnston. Steer clear of the dreaded double chin on adults by stepping on a chair or stepladder and shooting from above. Explore aperture. Your camera’s aperture setting determines its range of focus; a lower aperture number puts the focus on the subjects and blurs the background. 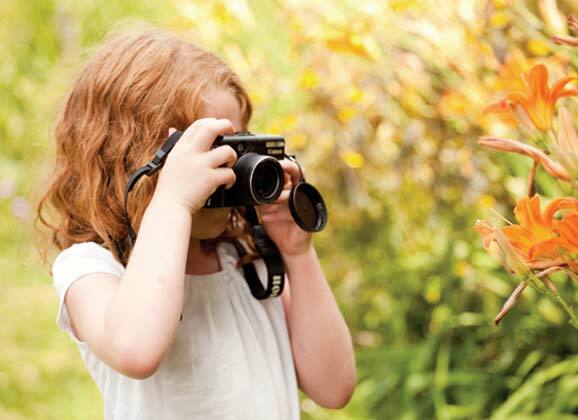 If you have a camera that has aperture priority mode, use it!” says Hill. This mode lets you adjust only the aperture without fussing with the camera’s other settings. Prop shop. Props—objects that add meaning and dimension to photos—are the latest trend in family and kids photography, says Johnston. Try including a banner that says “Happy New Year!,” small chalkboards with a festive word like “Merry,” “Happy,” and “Joy,” or a square sign with the family’s last initial. A string of glowing Christmas lights is a prop with endless possibilities: try winding it gently around kids’ feet or letting toddlers explore the twinkling strand while you snap away. Divide and conquer. If the Holy Grail of family photos—all kids looking at the camera and smiling simultaneously— proves elusive, don’t lose hope. Snap individual photos of each child and have a friend or neighbour take a photo of mom and dad together. 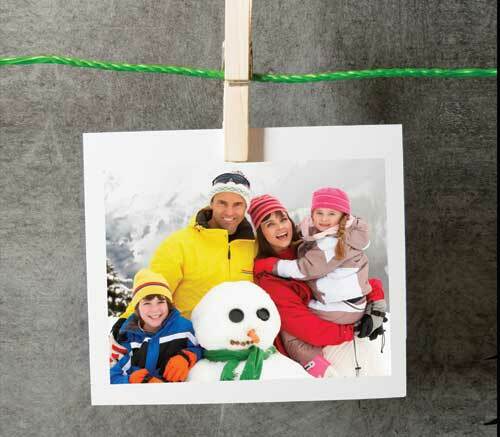 Use photo-editing software or a pre-made holiday card template with multiple photo openings to create a personalized photo collage. Make it unique. 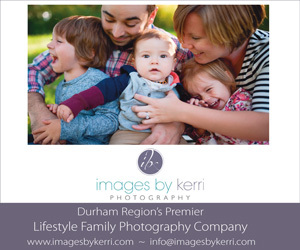 As for that group family portrait you want, it may help to soften your definition of “perfect.” Posed photos may not be your family’s thing—but an afternoon spent doing something you enjoy, whether it’s cooking, tobogganing, or building a snow man, could yield pure photo magic. Match your photography goals to your family’s unique taste and temperament, and you’re sure to score the mantle-worthy shot of your dreams. Malia Jacobson is an author who loves snapping photos of her three kids.